Foreclosure is the judicial proceeding a bank, lender, or servicer of a mortgage brings against a borrower when the borrower has defaulted under the terms of the mortgage. A mortgage serves as the collateral securing the repayment of the promissory note typically given when a piece of real property is purchased. The borrower, also known as the mortgagor, gives a mortgage on the piece of real property to the bank or lender, also known as the mortgagee, as collateral in the event the borrower defaults under the terms of the promissory note in making monthly payments. Typically, a borrower must fail to make a monthly payment for three consecutive months before a default under the terms of the promissory note and mortgage is declared. Upon a default being declared the bank or lender usually accelerates the amount due under the promissory note. To put it another way, the bank declares the full amount outstanding is now due in one lump sum to be paid by a certain date. Failure to pay the accelerated amount usually results in the bank or lender filing a lawsuit for foreclosure. Foreclosure is a lawsuit. The lawsuit seeks to have the Court declare that there was a default under the terms of the promissory note and that a certain amount of money is due and owing to the bank or lender. The amount due and owing includes the unpaid principal under the terms of the promissory note, late fees, interest, court costs, and attorney’s fees. When the Court makes a declaration that the borrower is in default and establishes that amount due and owing, the Court enters what is called a Final Judgment of Foreclosure. A Final Judgment of Foreclosure is a piece of paper that is filed in the public records. It indicates that the person owing the money, known as the judgment debtor, owes an established amount of money to another person or entity, known as the judgment creditor. 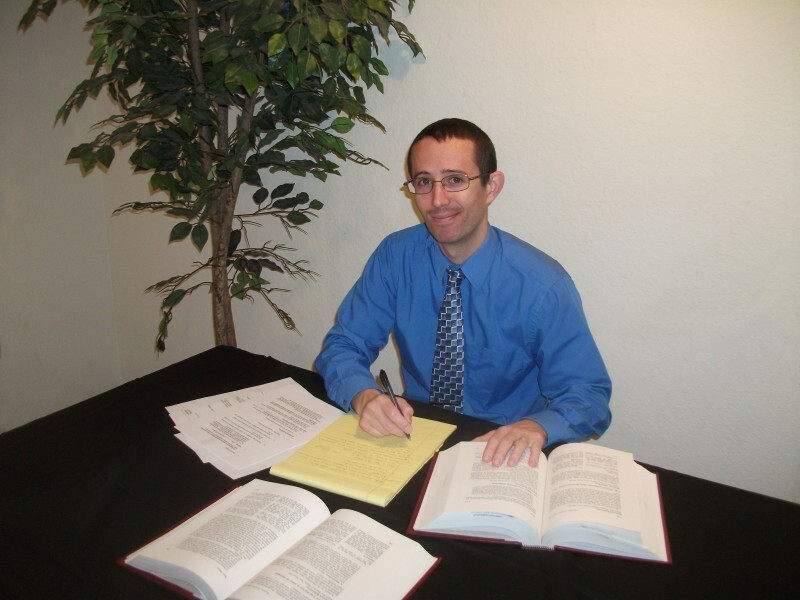 A judgment is valid for twenty (20) years in Florida, unless satisfied earlier. It is incumbent upon the judgment creditor to try to collect on the judgment. The ways of collecting on a judgment are beyond the scope of this brief foreclosure overview. What is important is that a mortgage provides security for the failure to repay the promissory note. To put it another way, the mortgage stands as collateral for the promissory note. When the Court enters the Final Judgment of Foreclosure, the Court can immediately look to the real property as a method of satisfying, either partially or fully, the Final Judgment of Foreclosure. Once the Final Judgment of Foreclosure is entered, the Court will set a date for the real property to be sold at a foreclosure sale. The foreclosure sale is usually scheduled 30-60 days after the Final Judgment of Foreclosure is entered. The foreclosure sale is open to the public and is usually held at the courthouse. Upon a final judgment of foreclosure being entered by the Court, the real property is then sold at a foreclosure sale and the proceeds are used to satisfy the amount of the foreclosure judgment. Usually the proceeds are not sufficient to fully satisfy the foreclosure judgment. In this scenario, a deficiency judgment could be sought by the bank or lender for the amount of the foreclosure judgment that is still outstanding. If the proceeds are sufficient, the surplus proceeds could be used to pay off any junior liens or mortgages. If after everything on the property is satisfied and there is still proceeds leftover, then those funds would go back to the borrower. A deficiency judgment, if entered by the Court, is an unsecured debt, meaning there is no collateral that can be sold to satisfy it. A deficiency judgment, like any other judgment, is good for 20 years in the State of Florida. The person or entity that holds the deficiency judgment is known as the judgment creditor. The person who owes the deficiency judgment is known as the judgment debtor. The judgment creditor has to take affirmative action to satisfy the judgment by garnishing wages or bank accounts, directing the sheriff to seize property and sell at a sheriff’s sale or otherwise working with the judgment debtor to satisfy the judgment. Here is a simple scenario applying the principles above to further clarify how foreclosure works and what happens after the property is sold. Let’s assume you loan your friend $250.00 cash money. Instead of a writing down on a piece of paper that he owes you $250.00, he gives you his 1980s Nintendo Entertainment System complete with all the controllers, cords, and nineteen (19) video games as collateral. Let’s further assume he was suppose to repay you in thirty (30) days. On the thirty-first day your friend calls you and informs you that he just lost his job and he will not be able to repay you. At this point, he has defaulted under your agreement. The Nintendo Entertainment System (NES) can be sold to satisfy the debt your friend owes you. But for the Nintendo Entertainment System, you would have no manner of recourse to recoup any or all of the $250.00 you loaned your friend. If you sell the Nintendo Entertainment System for $300.00, there is a surplus of $50.00. You would get to keep the $250.00 and you would have to give your friend $50.00. If you sell the Nintendo Entertainment System for $150.00, there is a deficit of $100.00. You keep the $150.00, but your friend still owes you $100.00. You have no further collateral left to sell to try to recoup that additional $100.00. At this point, you have an unsecured debt and would have to look to other legal methods, such as garnishment or having the sheriff levy on other property of your friend, to try to recoup this additional $100.00. The typical foreclosure process can take anywhere from 1-3 years on average to complete. Some cases move quicker or slower than others for a variety of factors. HOW DO YOU FIGHT FORECLOSURE? Fighting foreclosure is not unlike fighting other civil lawsuits. All lawsuits proceed through the court system in the same general manner. The banks and lenders have to follow the same Florida Rules of Civil Procedure and Florida Rules of Evidence as any other party bringing a civil lawsuit, also known as the Plaintiff. The party being sued is known as the Defendant. There are defenses that can be raised, both procedurally and substantively, to the documents that a Plaintiff files in the course of litigation. The burden is on the Plaintiff to prove their case by a preponderance of evidence (more likely than not) and part of defending a foreclosure action is making the Plaintiff carry their burden. Sometimes the Plaintiff is unable to carry that burden and as a result they have to re-file certain documents or do things over in the foreclosure process. Banks and lenders are usually slow to push the foreclosure lawsuit through the judicial process. From experience, each step takes much longer to complete than it should for various reasons. Some explanations include having to redo steps in the process, lack of due diligence on the part of the Plaintiff, or sometimes for not having the proper documents to support their case. It is not uncommon that a foreclosure case will sit for at least eight (8) to twelve (12) months with no record activity because the Plaintiff is just simply not pushing the case through the judicial system. During the foreclosure process there are opportunities to go to mediation with the bank or lender to try to resolve the foreclosure process. Mediation is a low cost alternative dispute resolution process whereby a neutral and impartial person with specialized training tries to get the Plaintiff and Defendant to reach a joint agreement to resolve the litigation. Mediation is a part of the mortgage modification process. Mortgage (loan) modification is a process whereby the amount of mortgage payments are lowered based on the financial circumstances of the borrower and the hardship the borrower has encountered with trying to make mortgage payments. The borrower, and their spouse if also named on the promissory note, will have to submit financial documents showing their income and their debt. The amount of money owed, including late fees and interest, does not get reduced but rather is spread out over the longer period of time. There are also opportunities to explore short sales, deed in lieu, cash for keys, and other non-retention options. These are options whereby a person does not wish to keep the property and fight the foreclosure any longer. A short sale is whereby the bank or lender approves the sale of the real property at the current prevailing market price. Typically the bank or lender will waive any deficiency judgment. For example, you purchased a house for $225,000 and still owe $200,000 on the promissory note. Furthermore, the current prevailing market price is $150,000. A short sale, which has to be approved by the bank or lender, would be for $150,000. However, there would still be owed $50,000 under the promissory note. This amount is called the deficiency and the bank or lender could ask the court to enter a deficiency judgment for this amount. Again, banks usually waive the deficiency, but they do not have to. By allowing the borrower to do a short sale, the bank or lender is able to at least recoup some of the money they are owed under the promissory note. The deficiency is able to be written off as a loss on their balance sheets as well. The borrower is able to avoid a deficiency judgment, be done with the foreclosure litigation, and save any further harm to their credit score. The borrower will however receive a 1099-C tax form for the waiver of the deficiency. The IRS considers this waiver of deficiency as a form of income, subject to be claimed on the next year’s tax return. However, a knowledgeable Certified Public Account (CPA) can assist with legally exempting the deficiency from being considered income. A deed in lieu is whereby a borrower surrenders possession of the real property to the bank or lender to resolve the foreclosure litigation. Typically, the bank or lender does not seek any deficiency judgment for the difference between the amount owed under the promissory note and the current fair market value of the property on the date the real property is surrendered to the bank or lender. This is beneficial to the bank or lender because they have the real property back, the collateral securing the repayment of the promissory note. The bank or lender can sell the real property to recover some of the money it is owed under the promissory note. It can write off the loss on its balance sheet. The borrower no longer has to fight the foreclosure, is able to avoid a deficiency judgment, and is able to prevent further damage to their credit score. The borrower is likely to receive a 1099-C tax form for the difference in the amount owed under the promissory note and the fair market value of the property on the date it is surrendered to the bank or lender. The IRS considers the forgiveness of the deficiency as earned income, subject to be reported on the next year’s tax return. However, a knowledgeable CPA can assist with legally exempting the deficiency from being considered income. Cash for keys is whereby the bank or lender pays the borrower a fixed amount of money to stop fighting the foreclosure and to move out of the property by a certain date and leaving it in “broom swept” condition. Cash for keys is not offered by every bank or lender and the amounts available vary from case to case. Cash for keys is very similar to a deed in lieu but there is now a cash incentive involved.